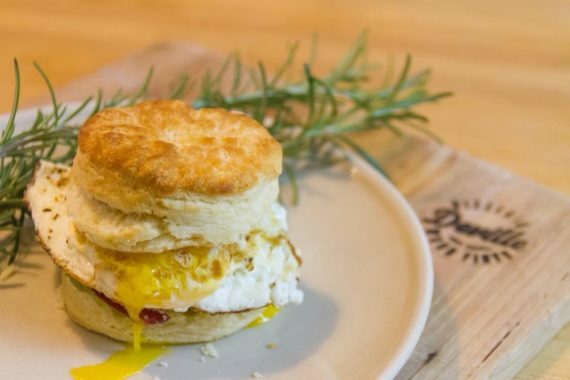 There are 11+ eateries to upgrade your brunch experience in Lake County. This is perhaps the biggest decision of your life as you rub those crusty eyes after a heavy week of working hard for the money. The menus are seriously loaded to make you feast like a king. And of course, then there’s also bacon (you can’t not have bacon). So what do you pick to eat in that awkward timespan between breakfast and lunch as your stomach stirs restlessly awaiting your decision? Do you go the route where your plate is doused in maple syrup and other sweet glorious treats? Do you pack on the protein complemented with salty delights? Our advice is all of the above. Indulge at all of these 11+ eateries to upgrade your brunch experience in Lake County. There is no shame in visiting them on consecutive days – we support your decision. Brunch Hours: Sundays; 10 a.m.-2 p.m. This Italian-inspired restaurant serves the classics in a warm modern space with a long bar and unique wine-bottle chandeliers. The Pomigliano family prides itself on making daily, mouth-watering homemade dishes. Brunch hours: Sunday; 10 a.m.-2 p.m. 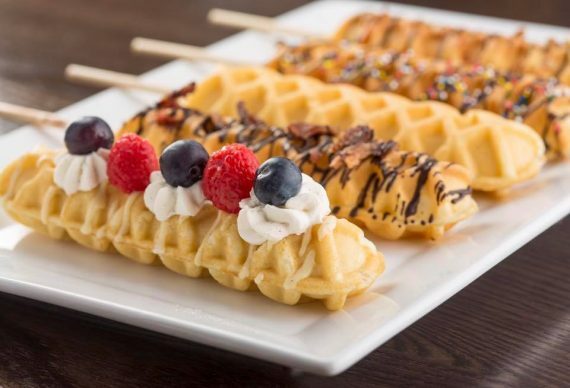 The Gurnee eatery is a chocolate-inspired haven that offers a Sunday breakfast buffet. Indulge in a delicious Sunday brunching experience and stay for the chocolate treats for dessert. Brunch Hours: Saturday-Sunday; 10 a.m.-2:30 p.m.
Take a flight to Italy for an exquisite brunch option (and by Italy, we mean Highwood). Nonna has been working over that stove all morning and her eats never disappoint. 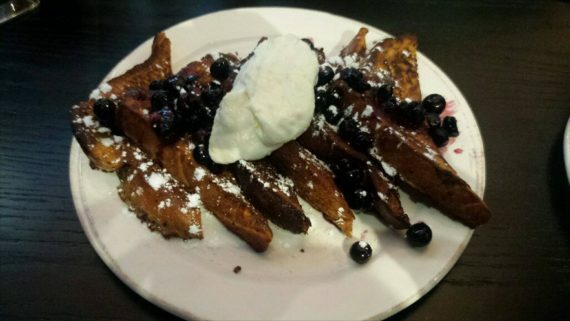 All weekend the Highwood eatery provides the brunch that your taste buds have been waiting for. The scent of these delicious dishes permeates throughout the walls of this rustic and vintage Italian establishment. Brunch Options: Daily till 11 a.m. 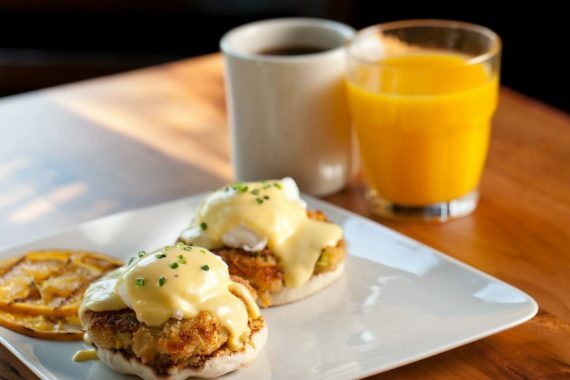 The Hyatt Deerfield houses the delectable Jaxx Bistro: “Thoughtfully sourced and regionally inspired.” Discover tempting choices as the Deerfield eatery offers brunch daily till 11 a.m including a breakfast buffet. The Lincolnshire fare and brews establishment creates 12 artistic beers and has a menu that features hand-tossed pizzas (we totally respect your decision if you order pizza instead of brunch too). The Sunday brunch menu ensures a variety of not quite breakfast, not quite lunch items. Brunch Hours: Saturday-Sunday; 8- 11 a.m. This Lambs Farm café and bakery provides a weekend brunch menu. 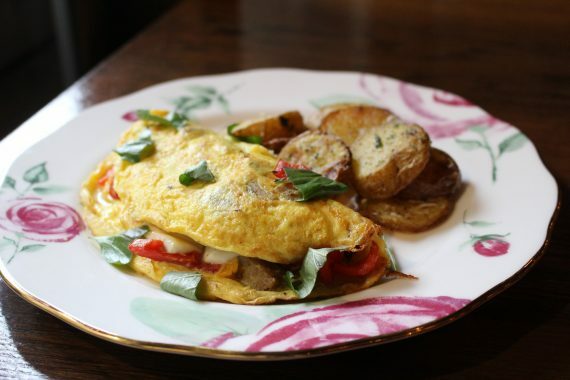 Head to the Libertyville eatery for a delightful brunch and stay to scour the farm. Garden Veggie Skillet: Sautéed mushrooms, onions, peppers, tomatoes, broccoli, spinach and cheese blended with their country hash browns and topped with eggs (any style). 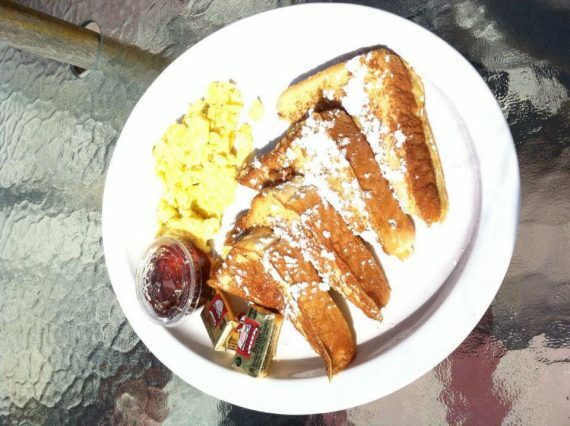 Apple Cinnamon French Toast: Homemade apple cinnamon bread battered, griddled and dusted with cinnamon sugar. Brunch Hours: Saturday-Sunday; 10 a.m.
Brunch Hours: Sundays; 10 a.m.-2:30 p.m.
WOOD you like a slice of pizza? This Libertyville wood-fired pie place not only serves up a mean slice, as their menu features salads, pasta and burgers. Pizzeria DeVille also provides a full bar. Don’t sleep on their brunch though! Brunch hours: Saturday-Sunday; 8 a.m.-1 p.m.
Festive ambiance? Check. Lakeside dining? Check. Brunch? You bet! 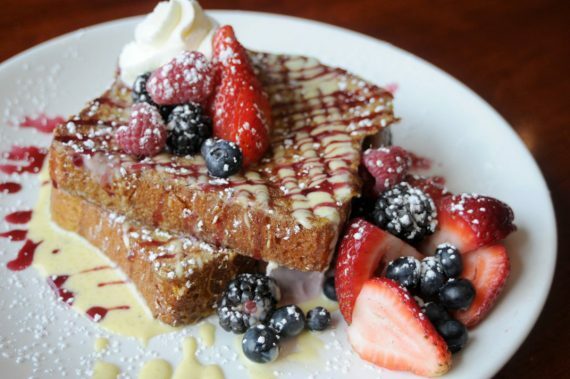 Every weekend Port of Blarney offers an enchanting spread of brunching bites right along the Chain O’Lakes. Brunch hours: Sundays; 8 a.m.-12:30 p.m. The Wadsworth eatery has earned a slew of accolades including a Delicious Destination award from the Illinois Office of Tourism and it was also featured on the Food Network’s, ‘Diners, Drive-ins and Dives,” with Guy Fieri. So it’s not shocking that The Shanty can whip up a mean breakfast. Check out this Wadsworth staple’s fine brunch eats. Fresh Strawberry Pancakes: Three light and fluffy pancakes topped with strawberries, powdered sugar and served with a strawberry glaze. Brunch hours: Gurnee – Football season, Libertyville – Saturday-Sunday; 11 a.m.-2 p.m.
It’s difficult to turn down kegs and eggs. 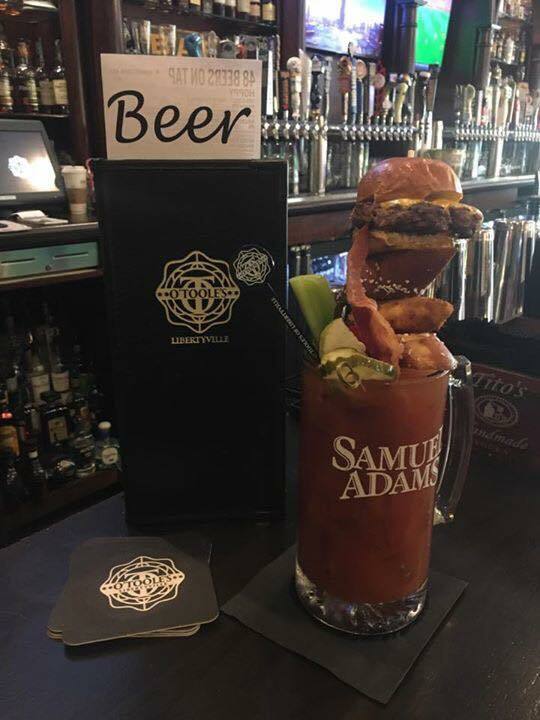 The two O’Toole’s restaurants also know how to complete your balanced breakfast with the Bloody Mary Bar which features over 20 ingredients. Timothy O’Toole’s in Gurnee and O’Toole’s Libertyville provide you with a splendid opportunity to fill your soul with Irish breakfast goodness and more. 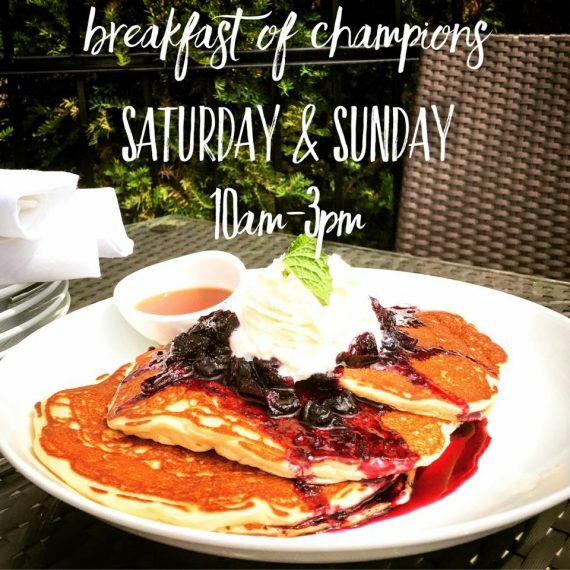 Brunch Hours: Daily; 6:30 a.m.-2:30 p.m.
Brunch Hours: Open daily; 6:30 a.m.-2:30 p.m.
Wildberry has earned many praises for their delicious creations in Libertyville. 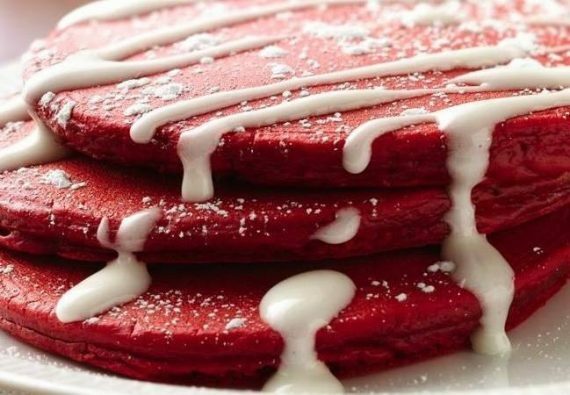 In late 2015, Thrillist ranked Wildberry in the Top 21 Pancakes in America. 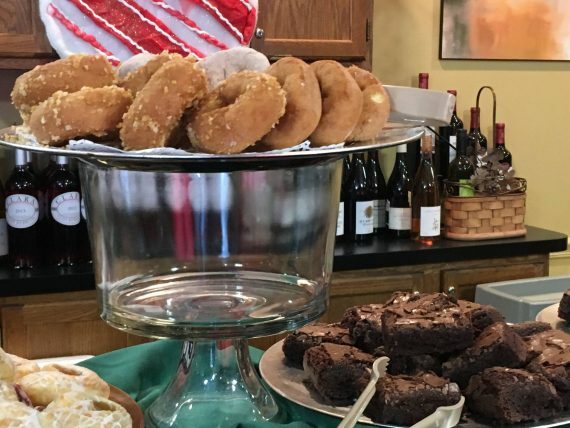 In 2016, Wildberry won a Daily Herald Readers’ Choice Award for ‘Best Brunch.’ As you can see, the Libertyville café is kind of a big deal that specializes in gourmet breakfasts, fresh-baked bread, panini sandwiches and so much more. Wildfire allows you to do your best Marty McFly impression. Jump in a DeLorean and transport to a 1940s supper club. The Lincolnshire eatery is well known for its steaks, chops and seafood, but they also offer weekend brunch. Start your weekend off the right way with fine dining, compliments of the restaurant that celebrates the post-WW II era. Garden Vegetable Quiche: Asparagus, spinach, caramelized onions, gruyere cheese, field green and tomato salad. 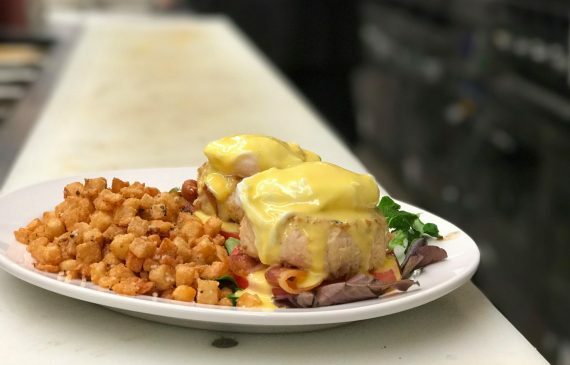 Besides these 11+ eateries to upgrade your brunch experience in Lake County, continue here to see the area’s other dining options.